In 1978 he joined production outfit, Flyte Tyme aka Jimmy Jam and Terry Lewis. After working together for two years they eventually parted company and Flyte Tyme went on to become the backing band for Prince. 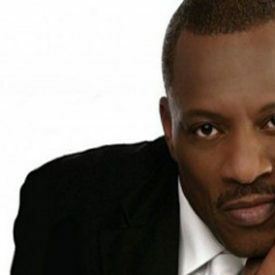 The early eighties saw Alexander launch his solo career, making his first recordings in 1984 with Jam and Lewis. His self titled debut solo album, was released by a local label called Tabu (distributed world wide by CBS). A year later generated his first UK top 10 Hit Saturday Love as well as A Broken Heart Could Mend and If You Were Here Tonight both of which feature on his live album. The release of Alexander’s second album Hearsay came in 1987 and featured major club anthems Fake and Criticise – the album sold over 700,000 copies in the UK alone. Alex has managed to traverse the ages garnering support from young and old. His great songs that has stood the test of time with many of his best cuts being remixed in the early nineties achieving massive chart results and becoming huge club anthems. This period saw Alexander embark on several sell out UK tours including six sell out nights at Wembley Arena. These performances were highly memorable due to his on stage antics with an over sized bed and invited female members of the audience! It created scenes and reactions only seen since on Madonna’s Blonde Ambition tour. Alexander’s 1991 album All True Man demonstrated an ever-increasing fan base and led to another gold album selling over 400,000 in Europe. His worldwide success was celebrated with a greatest hits collection in 1992, which was his second platinum album in the UK. 1993 saw his fourth studio album released. Love Makes No Sense was a top 20 album in the uk and spawned the singles In The Middle and the title track. 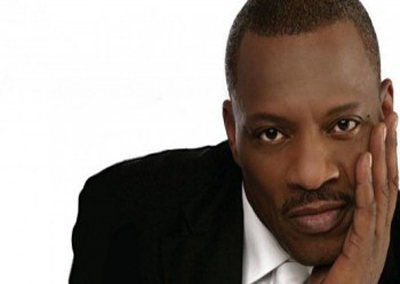 In 1996 signed to the One World label, Alexander O’Neal brought out Lovers Again . It was the first album he had done without being on the Tabu lable and there was no Jam & Lewis at the helm. Featured on here is the duet with Cherrelle of Baby Come To Me . It would be five long years until we would get another album release but it was worth the wait. Saga Of A Married Man was produced by Prince’s former drummer Bobby Z and went through the range of emotions man feels when Married. 2008 has seen the release of Alex Loves which is the first studio album for 7 years. The new album consists of some of Alexander’s favourite tracks over the last few decades. With many artists of the R&B/Soul genre releasing similar albums.